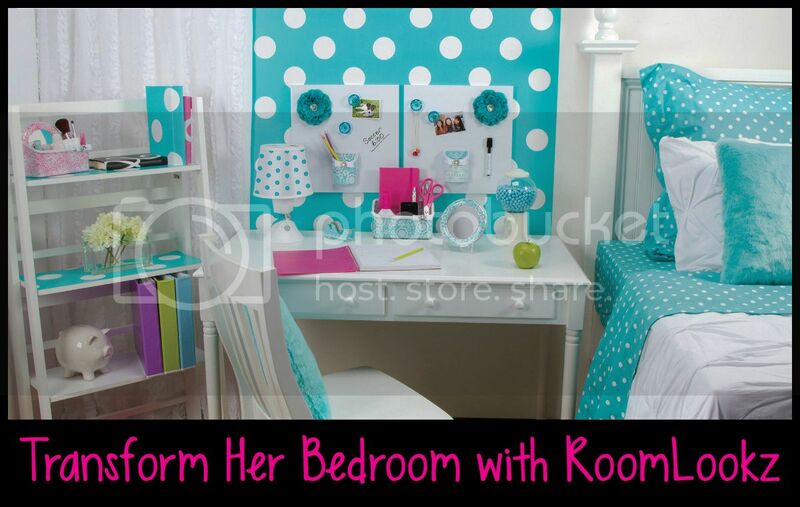 Add a dash of fashion to the bedroom as your little girl transforms into a confident teen! Turning drab but necessary spaces into inviting, trendy surroundings with color, patterns, fashion and fun is easy with RoomLookz. 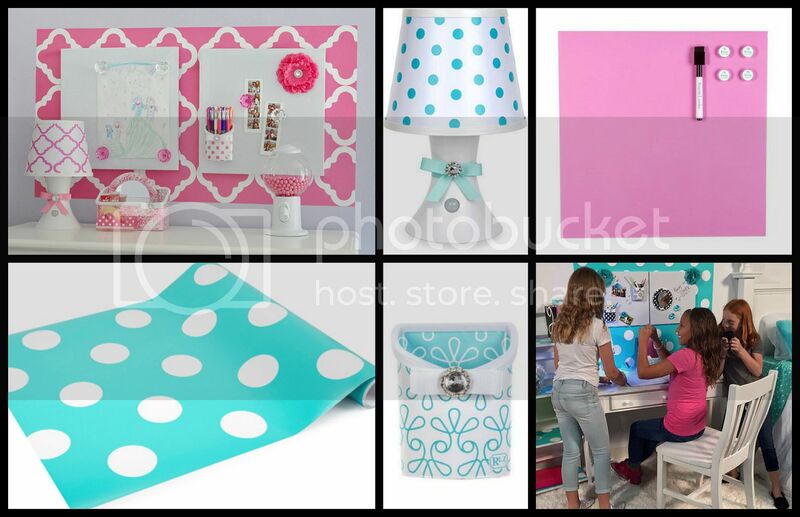 Who wouldn't want to pour over homework sheets when they get to pluck pencils out of a gorgeous caddy or gaze at a tabletop lamp with an aqua grosgrain bow that complements the hand-picked aqua dot wallpaper? Rich details in each carefully created piece are both affordable and adorable. 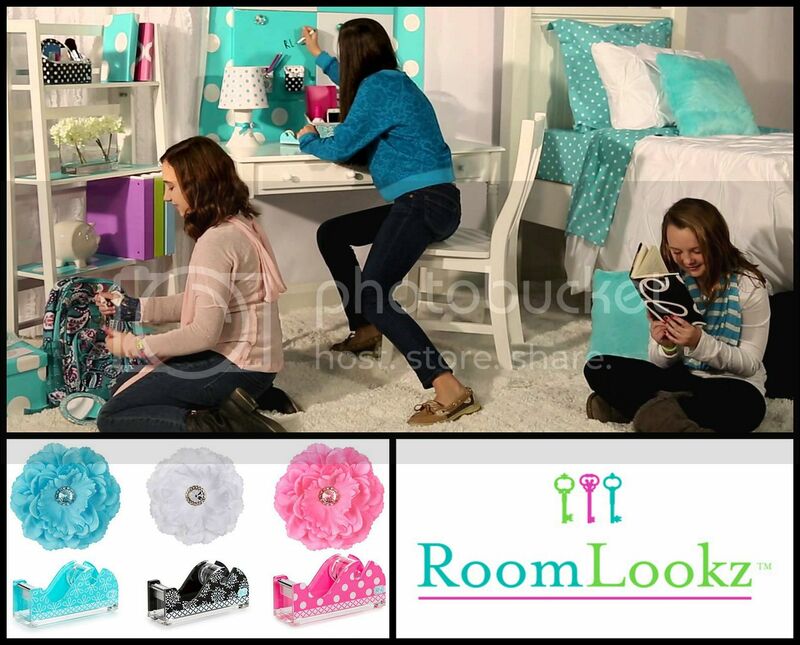 The RoomLookz bedroom decorations and accessories make it easy to create a space that shows off her style. Let her express herself through mix-and-match collections of wall décor, wall accessories, storage, desk accessories, and lighting. Start with some easy to apply RoomLookz Peel & Stick Wallpaper. Use RoomRollz to decorate bedroom walls, desktops, notebooks, furniture, and more. It will make a statement the moment she enter her sanctuary with pleasing patterns for a spot or the whole wall. A single roll measures 27.5 sq. 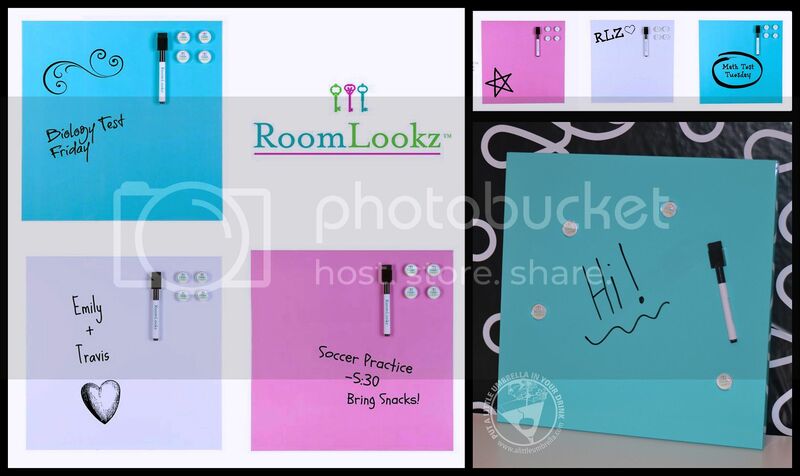 ft. RoomLookz makes the do-it-yourself application foolproof with a printed grid on the back, measured in 1-foot increments! Just peel, stick, and re-position if needed. Feel free to decorate any surface, not just walls! Try a desk or a bookcase. 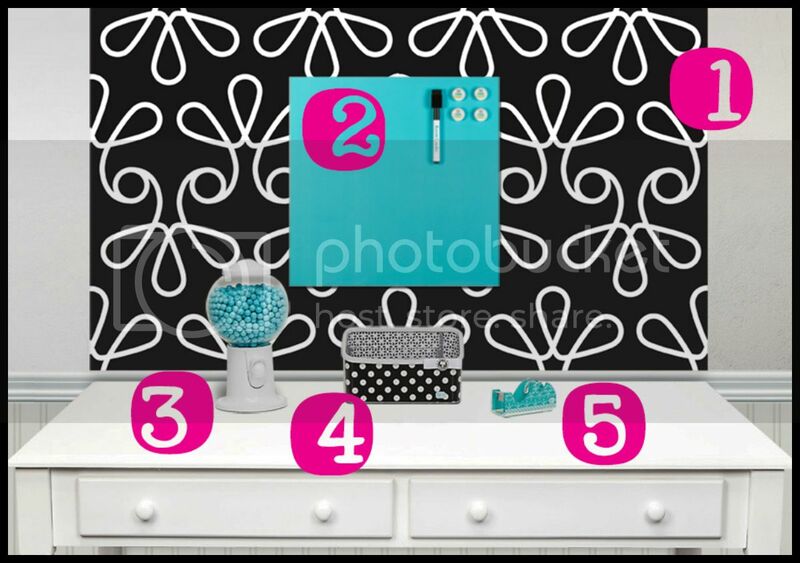 Choose from Pink Quatrefoil, Aqua Dot or Black Swirl. I chose the Black Swirl to accent the area just above this desk. Next, I added a Magnetic Dry Erase Wallboard. When it comes to keeping track of homework deadlines or piano and soccer practices, this accessory is a must for girls on the go. Jot it down and wipe it clean when the date passes. 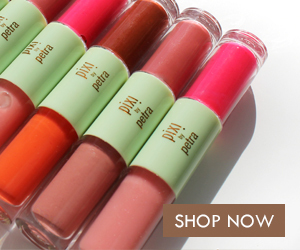 Pick Pink or Aqua to match other accessories. Not sure? There's always beautiful White. Mounting hardware is included for easy hanging. It measures about 14" x 14" with a .75" width and comes with two magnets and a magnetic dry-erase marker. You will want to choose an accent piece. 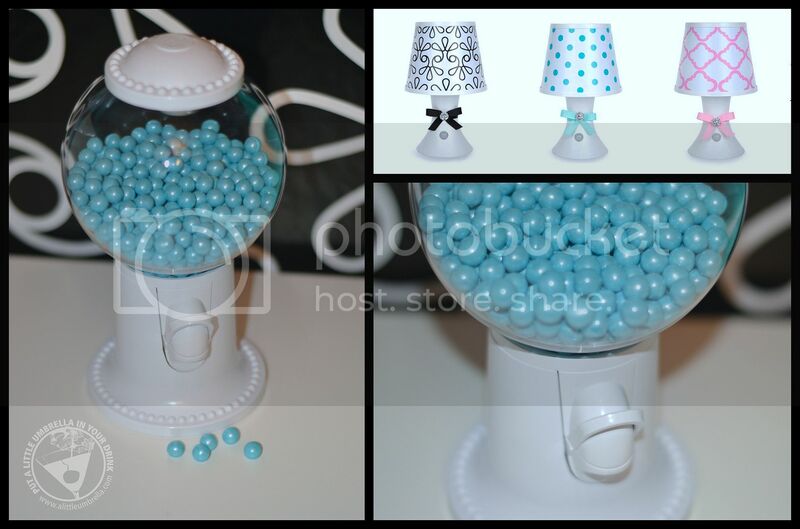 I went with the Candy Dispenser, but I would also recommend the LED Tabletop Lamp. Perfect for slumber parties or late night munchies, this sweet dispenser will bring a smile every time she walks into her room. It might just save a night of frustrating math problems if she can reward herself with every solution mastered! With a screw-on-and-lock glass globe, this delicious addition stands 10" tall. Fill it with 14 oz of your own small candies or choose the pearly colors of a Celebration Sixlets Peg Bag. Celebration Sixlets chocolate flavored candies with a shimmer candy shell. Candies measure 3/8 inch each. Bags contain 14 ounces of chocolate candy that will fit perfect and look cute in the RoomLookz Candy Dispenser. Once filled, you just press down on the lever to dispense candy. Now you need an adorable Acrylic Tabletop Caddy or two to tidy the top of the desk. This caddy is so pretty and so practical for pencils, a calculator and perhaps a scrunchie to gather hair after a long day. Each organizer is tied with a white grosgrain ribbon topped with a sparkle from the acrylic gem centerpiece. Choose Pink Lace, Aqua Poppy or Black/White Dot. The 3-compartment caddy measures about 7.5" W x 4.75" H. The smaller Acrylic Magnetic Bins also mix great with the Caddies. Necessities don't have to look dull. This adorable Tape Dispenser got a makeover. 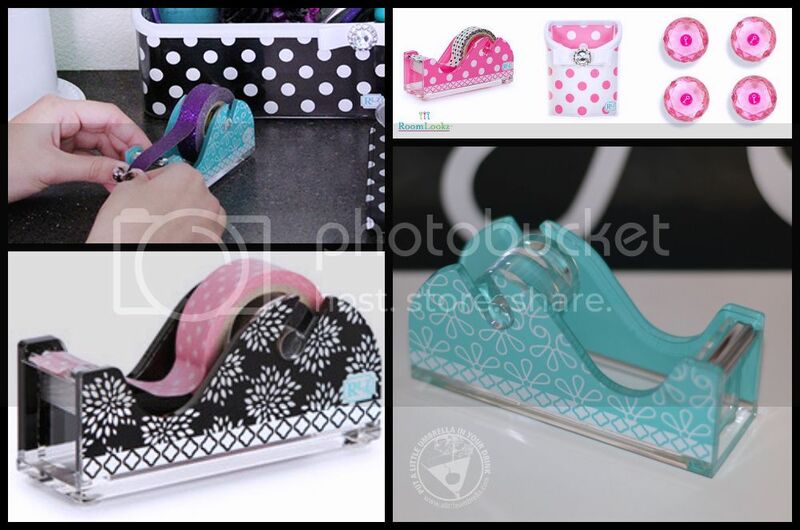 The RoomLookz tape dispenser feature a cute Pink Dot, Aqua Swirl or Black/White Burst design. 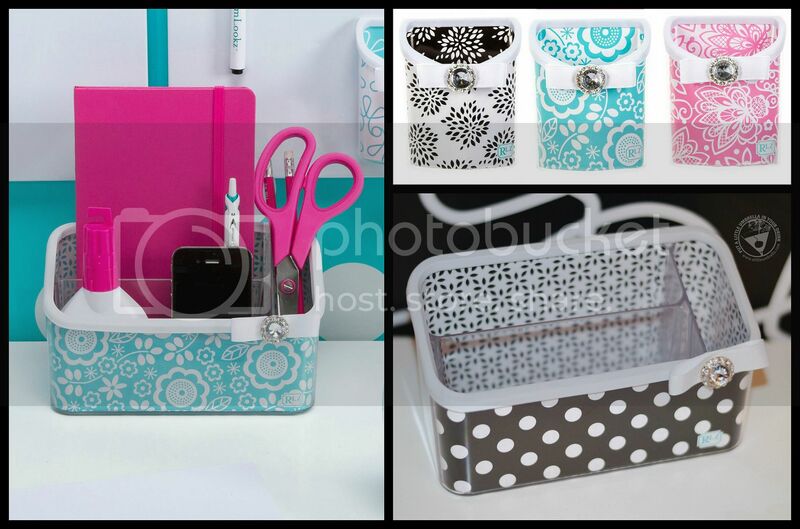 Fill it with the tape of your choice then leave it on your desk for a pop of style! The dispenser rolls in and out of grooves for refills. It looks fab with some washi tape! Mom may want to purchase one for her workspace! How excited will your tween be when you give her the gift of creativity?! 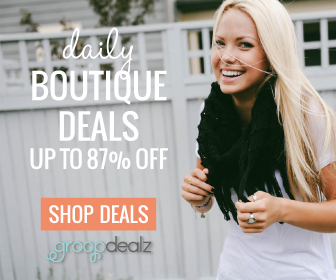 Allow her to express herself with trendy accessories and décor from RoomLookz! Watch this video for some transformation inspiration! 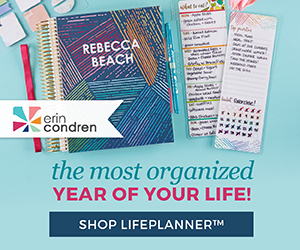 RoomLookz is featured in my 2015 Holiday Gift Guide. Connect :: Visit lockerlookz.com to learn how to transform her basic bedroom into an inviting, trendy space. Connect with LockerLookz Brands via Facebook, Twitter, and Instagram. 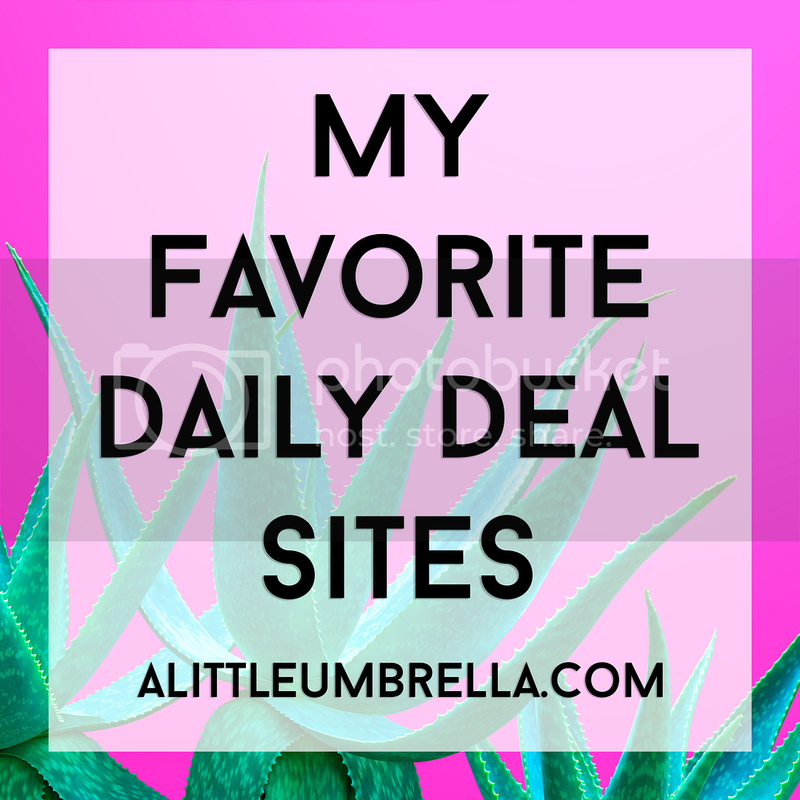 Buy It :: Shop my RoomLookz look!